he Napa Valley has now been producing high-quality wine for over three decades and indeed many properties go back to pre-Prohibition times. As in the other major viticultural regions of California, dynamic change is continuous and new operations, particularly boutique and very small scale premium red producers, are emerging all the time. Of one thing there is no doubt: winemakers here and particularly those working with classic Bordeaux varieties, are able to charge super-premium prices. These days the top Bordeaux reds can seem relative bargains in comparison to some of their Napa counterparts. There is no question that an increasing number of truly world-class wines continue to emerge from Napa but also that there are as many that are priced too highly and quite simply struggle to justify their lofty tags. If you are looking for some very serious bottles they’re certainly here, but some care and research is needed before purchasing. The Napa Valley AVA runs along an extensive river valley stretching from north of Calistoga along the Napa River to south of the town of Napa itself and just edging towards San Pablo Bay at the northern end of San Francisco Bay. 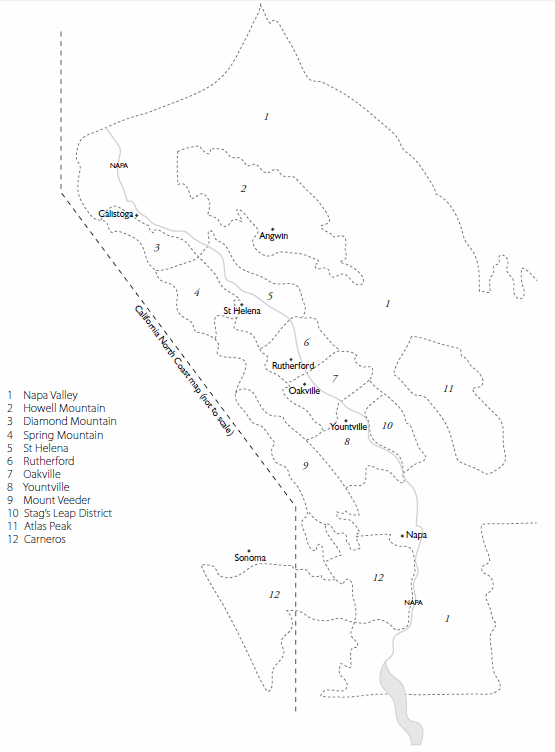 South-west of Napa, the Carneros AVA is located south of the Mayacamas Mountains and effectively divides the Sonoma and Napa Counties viticultural regions. In Napa, like Sonoma and Mendocino, the climate is moderated by cool marine breezes and coastal fog. Calistoga’s benchland vineyards are the warmest in the Napa Valley, because little of the moderating sea breeze drifts this far. 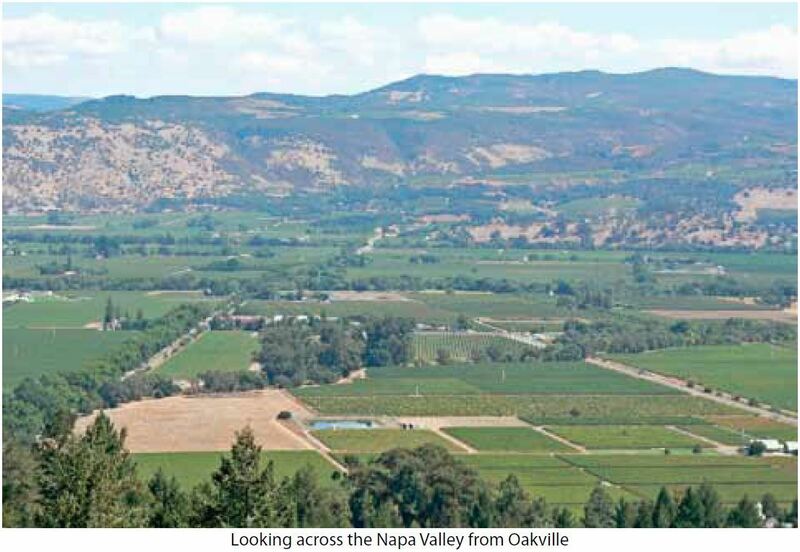 The topography becomes semi mountainous to the west with the Spring Mountain District AVA and to the east the Howell Mountain AVA, which is an extension of the Coastal Ranges. There are a number of exceptional Cabernet Sauvignons, Merlots and meritage blends, produced from vineyards within these mountain AVAs. Equally impressive wines are also emerging from sites similarly cooled by altitude but on the lower slopes, both to the west, and east of the valley. These sites are characterised by excellent aspects and soil drainage, both of which are hallmarks in the production of great wine. The key to these wines is their structure; their mountain origin gives them a unique stamp. They can be the least approachable when young but among the longest-lived and most refined of Napa’s great reds. This is essentially Cabernet country but there are some good Chardonnays, one or two stylish Syrahs and Viogniers and some very good Zinfandel. the Mayacamas to the west. As well as the Bordeaux styles, good Zinfandel and Syrah are grown throughout this stretch of vineyards. The central section of the Napa Valley is the heart of its best benchland vineyards for Cabernet Sauvignon and Bordeaux-style red blends. 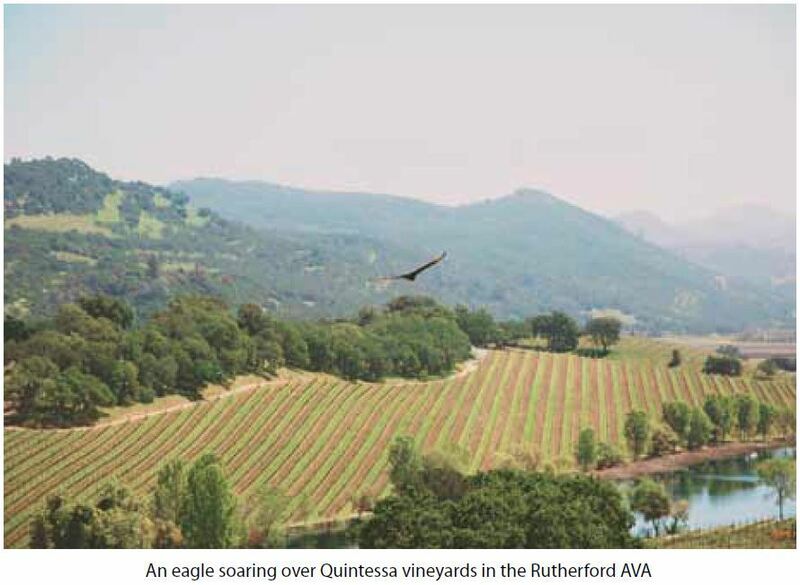 This takes in an area that runs from St Helena in the north to cooler Yountville in the south and encompasses the AVAs of Rutherford and Oakville. It is difficult to generalise as wine quality is by no means determined by the traditional Rutherford Bench yardstick: the bench is a narrow strip of vineyard stretching north of the town of Rutherford with gravel and sandy-clay soils producing potentially great wines, but in recent years a whole host of other small vineyard sites have proven to have excellent growing conditions, many of them taking the Napa Valley AVA. However, in general the wines to the north at St Helena are the ripest and most opulent, while those from Yountville have the tightest structure. These generalisations are offset by exceptional producers outperforming their neighbours and by many sites which are influenced by the sloping hills of Howell Mountain to the east and Spring Mountain and the Mayacamas to the west. As well as the Bordeaux styles, good Zinfandel and Syrah are grown throughout this stretch of vineyards. To the east of Yountville are the AVAs of Stags Leap District and Atlas Peak. To the west Mount Veeder provides sturdy reds with Zinfandel and Syrah increasingly successful; some fine, tightly structured Chardonnay and peachy Viognier are also produced. Stags Leap is somewhat of a conundrum. There are some very fine wines produced in these gravel soils but also a number of underperformers. Atlas Peak has so far disappointed. The winery of the same name has experimented with only moderate success with Sangiovese, Cabernet Sauvignon and Chardonnay. To the west of Napa, towards the Wild Horse Valley, the Bordeaux varieties and Chardonnay have all been successful. The newly created AVA of Coombsville would appear to offer much potential. Part-Sonoma County and part-Napa County, Carneros AVA is just inland to the north of San Pablo Bay and directly affected by those cool, marine breezes. This is key for the production of sparkling base wine and it is no surprise that a number of sparkling-wine operations are based here, including California offshoots of some of the big European names. Pinot Noir and Chardonnay are successful and, more surprisingly, in warmer mesoclimates so is spicy, black pepper-styled Syrah, notably from the Hudson Vineyard.